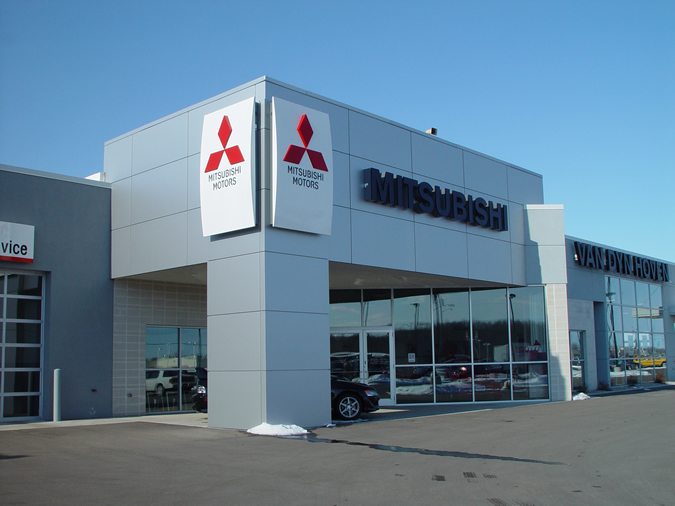 This newly designed Mitsubishi Dealership uses over-sized Aluminum Composite Material (ACM) panels to enhance the dealership image. The panels feature both 90 degree and custom angles and are fastened directly over Dens Glass. 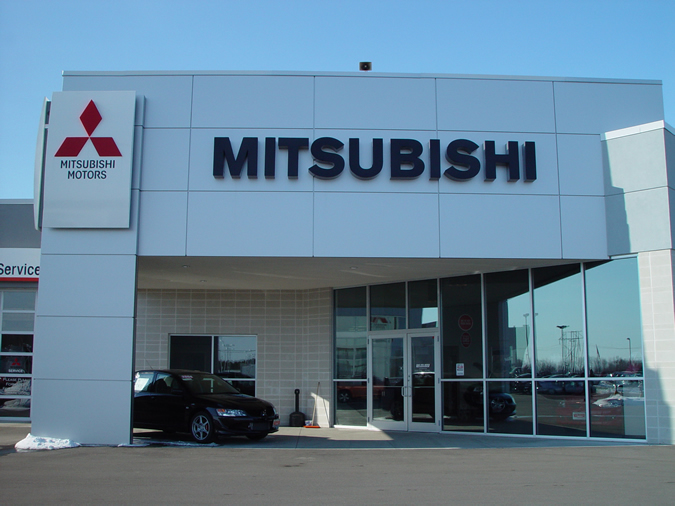 The system is a Pressure Equalized Rain Screen using no caulks or sealants.